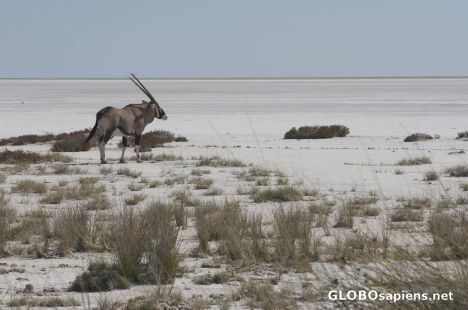 Near Okaukuejo Camp you can access the Etosha Pan lookout and when we did we had the oryx antelope grazing there as a nice decoration. I love pictures from Namibia. Any pieces of the meteorite in evidence where you camped? Thank you for your comment hugh. We didn't visit the meteorite site so we can not provide any picture for this. Amazing; just look how vaste it is.